After living in London for just under 5 years I finally qualify for Indefinite Leave to Remain (ILR). I have been preparing for this since I first arrived! Saving all my bills, contract, payslips and whatever other documentation I thought would be useful for the application. Yes, I am a little intense thinking about this before I had even lived here for a couple of years. One of the most confusing things about applying for visas is the evidence. What on earth do they expect you to provide!? As it’s such a stressful process I wanted to make sure I could share the information and steps I took to get my Indefinite Leave to Remain. I hope this article gives you an idea of the ILR experience or evidence you are expected to produce. If you have any questions about the process or my evidence let me know in the comment section! Good Luck and I hope your application goes smoothly. Applying Yourself or Using a Company For Your ILR? you’ve spent no more than 180 days outside the UK in any 12 months of the last 5 years (known as ‘continuous residence’) – if you have then you will need to apply for an extension until you qualify. The earliest you can apply is in your final 28 days before your visa ends. For example; my visa expired on the 10th of September 2018 so the start of the 28 days would be the 13th of August. Therefore the 13th of August is the first day I was allowed to apply. The application itself can be started way more in advance. I think it’s 70 days in advance that the website allows you to prepare the application before you need to re-do the application. Make sure you complete your Life in the UK test before your application as well. There are no expiry dates on this so you can complete it any time you are ready. There is no listed financial requirements for the UK Ancestry route i.e. that you need savings in your account or give proof of income (just to clarify proof of incomes means that you need to prove you earn over a certain amount). There is a statement that you need to show that you can support yourself which I did by showing my savings accounts and various other documents (more in the documents section below). For example, on Tier 2 ILR you will need to prove that you are on the jobs shortage list and you meant the minimum salary requirements. The cost for ILR in 2018 is £2,389 to apply by post and £2,999 to apply in person (Super Priority) and this cost is per person. For the latest fees check GOV.UK settle in the UK page. The fees generally change April each year (the end of the tax year). You can pay the fees by debit or credit card. I paid the fee on my credit card, one to get the air miles and second I got to show that I had more savings. I applied by myself this time around instead of using of a company. This time around I put a lot more research into what I needed to do to evidence the visa and information I would need. I was confident that I would be successful. When I was at the Home Office there were a lot of applicants using companies so there will be plenty of places offering this service if you wish to choose this option. If you have a complicated application it’s a less riskier option to go with. Before we start the application process less answer the question I see all the time on expat communities! Arrival Date or Visa Start Date? It basically says that as long as you arrive within 180 days after your visa starts and don’t go over the continuous period (i.e. 180 days in a rolling year) you can apply for ILR. UK Visas has launched a new beta site for Settlement Visa, to apply use this link. You can start the application in advance and will allow you time to complete the form. With the new process, appointments will be available up to 28 days in advance. Gov.uk says on the initial Set(O) application page “Do not apply any sooner than 28 days before you complete your qualifying period.” A recommendation from UKVCAS is that you book your appointment within 5 days of submitting your applications. You will be reminded in 15 days if you have not done so. As everyone needs to enrol their biometrics with their visa application you will need to book an appointment. Super priority – get a decision in 24 hours. Read more about processing times here. For this application I decided to go with the premium service (this is now super priority) instead of posting the application. When I was reading about the troubles others had with keeping jobs whilst waiting for their visa to be approved it sparked concerns. I didn’t want to go through the same troubles so I paid the extra for the ease. Additionally not having my passport up to 6 months means that I won’t be able to travel so if something happened at home I wouldn’t be able to go. Plus not having an international holiday for 6 months!? That would be a struggle for me. Once you complete your online form and pay the fees you will be emailed an access code. This is used to book an appointment through the online portal on the UKVCAS website. 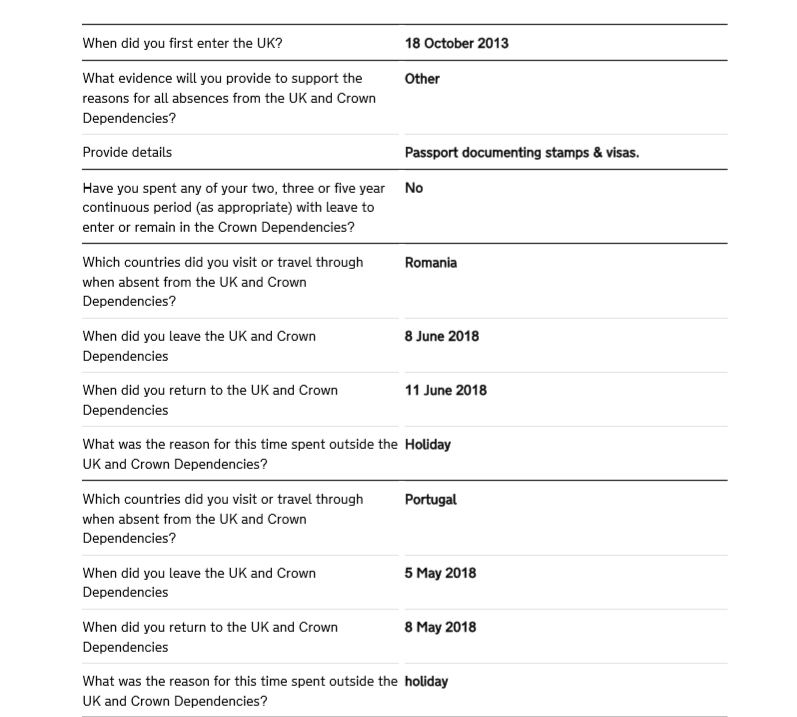 UK Visas new beta site now provides a handy checklist. In the below sections I have included what I provide and what the immigration asked for so you can see the comparison. All bold sections is what the Home Office states as evidence you need to provide and then I have included what I did provide to meet their bold requirements. Ok, pretty easy this one! I just included my current passport. Two passport photos for Miss Katherine …. On the back of your passport photograph, please provide your full name. There are rules about what your photograph should look like. To find out more about these rules, go to https://www.gov.uk/photos-for-passports. Again another easy requirement, I included two passport photos of myself with my name written on the back. Life in the UK Test pass notification. Include your Life in the UK Test pass letter in the application. Please, please, please don’t leave this to the last minute! Also make sure your details are 100% correct. I have known people to get refused to take the test because their ID cut off their middle name or their country of birth was wrong. There is no expiry date so do this as soon as possible! Reasons for absences from the UK . I included a full list of absences, tally of days outside of the UK and both passports to prove my absences. I have created a Google Docs spreadsheet as an example but you can also use the template to calculate your reason for absences. If you are applying via Tier 2 IRL then you will need to include a letter from your workplace to support the absences. Here is the example of my reason for absences in the application. I also provided the spreadsheet as I had over 30 lines worth of trips to enter. Document(s) showing that you are able to work and intend to take or seek employment in the UK. 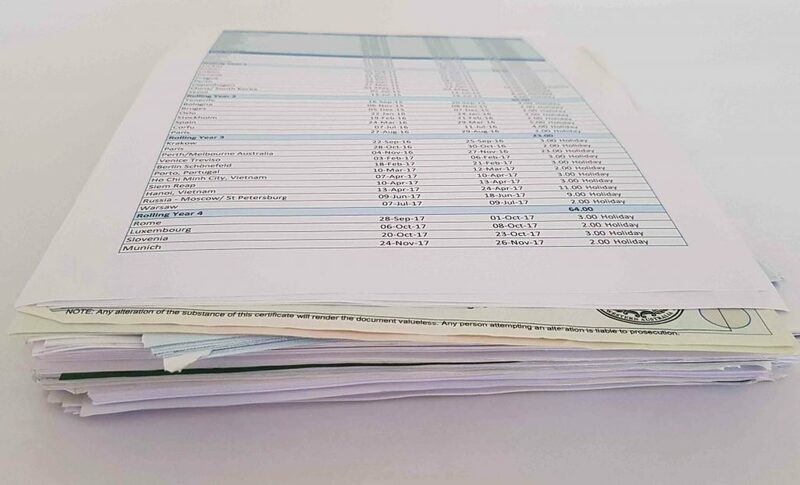 For this, I included all employment contracts, payslips, a letter from the HRMC, P60’s and a few P45’s. Consent form for the Home Office to request verification checks on Miss Katherine for joint accounts or third party support. The consent forms are included in the application documents. If you have joints accounts with your partner or anyone else then they will need to sign this. The sponsor will also be required to fill out a consent form. No joint accounts or sponsor then this isn’t required. Declaration signed by Miss Katherine to confirm consent for the Home Office to request verification checks. Again like the requirement above it just requires a form to be signed. The Australia passport, identity card or official letter for Miss Katherine to prove the level of English language required. Another easy one for me, I included my passport. Some nationalities will require to take an English test, the pass letter just needs to be included in the application. Find out more information by going to https://www.gov.uk/english-language. Evidence of Miss Katherine immigration status in the UK. For this I had my current visa and the documents I used to prove my Ancestry so my birth certificate, mums birth certificate and granddads. I didn’t expect them to needs this and I just added a precaution more than anything else. When I asked the officers at the premium service she said that I should include it so I suggest adding this evidence. If you are employed at the date of application, please provide a letter from your current employer which confirms they will continue in their current job with that employer. Documents to show you are employed, such as recent wage slips. If you are self-employed, please provide one of the following: business and/or company accounts official letter from a registered accountant which confirms self-employment official tax documentation. If you are unemployed at the date of application, please provide alternate evidence to show your employment record throughout the five year period in this category of leave, and of any attempts to make and find work. If you have been unemployed for long periods over the five years, you must provide reasons why you have failed to find work and evidence to show you have been looking for it. You must also provide evidence of how you can support yourself without a regular income. I asked my work workplace to provide a letter stating that I worked there and I also provided my current workplace contract to support this requirement. I’ve not had any gaps in my work whilst in the UK a part from when I arrived in the UK and therefore didn’t include any other evidence. I asked my banks to provide one year of statements to support this evidence, HSBC provided this with ease and cover letter, however, Lloyds only provide 3 months (this is the minimum evidence) printed at the bank which they stamp to validate the statement. I had four accounts I did this for plus I had a stack of old bank statements from 2013 until about 2015 which I included as additional evidence. I actually forgot one of my bank statements, however, it was a small saving account so in the grand scheme of things I don’t think it would have added anything additional. As payslips are key thing mentioned I included two jobs worth of history which equated to 4 years’ worth of payslips. My support evidence wasn’t perfect as I only found my first jobs payslips at the last minutes so didn’t include these. Ideally these should have been included, however, I did have an HRMC letter that supports that I worked between this time and the company that it was with. My new job hadn’t issued a payslip yet so the supporting letter and contract was the only thing I had the support that job. Psstt… to get an HRMC letter is really easy just 0300 200 3300, ask for 5 years’ worth of employment history to be sent to you in a letter and you will get something like this. If you have received a new passport since your last leave to remain application, and your visa is in your old passport, you must include both passports. If you do not provide any of these documents, we may not be able to make a decision on your application. Please note that we may occasionally ask you to provide other documents in addition to those listed. I didn’t have all my previous passports so I just included one which was my passport valid from 2008 until 2018. Depending on the service you choose you should get an email from Home Office on that your application was approved or denied. If approved then you will receive by post your BRP and approval letter. Once a decision has been made on your application you will be sent a letter stating whether you were approved or not approved. As it is now emailed/posted to you I am not sure whether the caseworker is meant to tell you the reasons why you are unsuccessful. You could call the UKVI Support Centre to find out more information. Fingers crossed that it is a positive answer!!! The letter advising you that your application is approved will state that a Biometric Residence Permit (BRP) has been ordered and sent to your address. If you completed the application yourself then it will be sent to your home, otherwise, it will be sent to the agency you used. The BRP card should arrive in 10 working days, there are details in the letter of what to do if your BRP doesn’t arrive. The letter will also include handy information about your BRP, what happens if it gets lost etc. The Home Office has a courier company that they assign to deliver the BRP from Monday to Friday between 9 am to 5 pm. I am not sure you if you can track when your BRP card arrives via the visa website I got locked out! If the courier company fails to deliver it to you the first time, they will send a letter with an ID you can use to re-book the delivery. It’s then a simple case of showing them some ID and signing for the package. Here’s what the Biometric Residence Permit looks like. The photo is so much better than my passport photo! I had no idea that BRP had expiry dates until my card arrived! Turns out every 5ish years you will need to renew your BRP. I have read that others got 10 years on theirs my mine is weird 5 years 5 months until I need to renew it. You won’t need to reapply if you decide to progress down the citizenship path. Hope that helps with your application! Good luck!!! Loved your detailed explanation. Thanks. super useful. Do you know how to explain this meaning? than 28 days before the date of application. So if I am going to apply on 3 of December and I need to get the letter from my employer when should it be dated, can you help please? Hi Valeria, if I have understood the requirement correctly then as long as the letter is dated between the 6th of November and the 3rd of December the letter will be in the period (as that’s 28 days). Did you have your NI number on the back of the BRP card? My Tier 2 one did but the ILR one I got recently doesn’t, so I was wondering if that was a mistake. Any chance you could email the template for me to see? Thanks for this very useful info. I am about to apply for an ILR but I am chasing my employer to cover this cost. Have you tried asking your employer to cover this cost. My employer has been sponsoring me for the last 5 years on tier 2 visa. So, if they not cover the cost, they may lose me. I wonder whether it is common for employers to pay the fee for ILR? Loved this – super helpful to have someone explain it in human speak rather than some of the complex jargon online. I’m from Perth too, and will be applying for this before my Ancestry visa expires in March! I wondered if I’d be able to take you out for a coffee sometime in Feb to chat over my (hopefully completed!) form and documents, just to see if I had missed anything before sending it all off? I won’t be able to afford the premium service and it’d be great to see if the application process has changed online since you did yours. Thanks heaps and happy holidays! Nice to hear from another Perthian! More than happy to have a coffee, I will drop you an email. thanks Kat for sharing. I’m also applying under UK Ancestry and your summary has kept me sane! 1. “What evidence will you provide to support the reasons for all absences from the UK and Crown Dependencies?”. Under Ancestry Visa, which option did you select? I thought ‘Other’ or did you get your employer to write a letter? 2. For the list of trips out of the UK, did you enter each manually into the on-line form, or is there a way to upload your Google Docs spreadsheet? 1. “What evidence will you provide to support the reasons for all absences from the UK and Crown Dependencies?”. I selected other and then added the following statement in the “provide details” section: Passport documenting stamps & visas. 2. For the list of trips out of the UK, did you enter each manually into the on-line form, or is there a way to upload your Google Docs spreadsheet? For mine I put in 30 lines worth of trips in the applications in the order of latest to oldest. Then added the spreadsheet as additional information/ support. As the requirement is to ensure that you’ve not been out of the country each year for more than 180 days. thanks Kat, really appreciate your help on this! I came into the UK in Feb 2014. Am so confused on when to apply for ILR as it states that it must not be more than 28 days before the end of your current leave expires. It’s very unusual for UK Visas to be 5 years and 6 months, they are normally issued for Tier 2 at exactly 3 years and 5 years. When did you Tier 2 visa start? If it started the 6th August then you can only apply 28 days before the 6th of August. Will u advise using the new service? I’m ready to pay now but not sure of the new service esp with the 28days rule. Can I book in advance? Appointments should be available up to 28 days in advance, the UKVCAS recommends booking an appointment within 5 days of submitting your application. Afterwards you are supposed to get an email confirming your biometric was enrolled but there are currently issues with people not receiving this at the moment. Later, depending on the service you choose you should get an email from Home Office on that your application was approved or denied. If approved then you will receive by post your BRP and approval letter. Yes you should upload all your documents beforehand and take the originals to the appointment. Thanks for your reply. I am freaking out now. I have applied for the ILR on the 31st of Jan, visa expires 4th Feb but chose an apt within the 28days frame which is 14th of Jan. MY fear is I submitted the application before the 28days rule. was I right? i thought since the actual apt is within the 28days rule then it’s fine. Is this correct or should I withdraw the application. That’s perfectly fine. Don’t withdraw the application! I submitted my application 45 days in advance before my 28 days started. When you submit the application doesn’t have an impact on the visa process. As an FYI if you withdraw the application you don’t get refunded the visa cost which is a lot of money to lose! I feel rest assured now. Your blog has been super helpful. I saw you submitted your application for ILR 45 days in advance before your 28 days started. I have a similar situation which I hope you can suggest. My qualifying date (5 years Tier 2) is 3rd April 2019. I booked my super priority appointment on 13th March, which is within 28 day window. However, I submitted my application form on 15th February, which is outside the 28 day window. This is because I thought the 28 day window applies on the appointment when I need to submit all my other documents other than the application form. Now I am worrying if I need to withdraw the application and resubmit again, or attend the appointment anyway with a cover letter explaining my misunderstanding. Hi, I did submit mine 45 days in advance before my 28 days back when the rules were different. Premium service appointments opened that far in advance and you could only get an appointment if you submitted and paid. However, if you were only applying via post then you could submit in the 28 days. The rep at the appointment isn’t who will be reviewing your application and cancelling your application they don’t give you a refund (as I understand). You would need to call UKVI on the next steps. I did call UKVI today and they mentioned two options. (1) Attend the appointment and write a cover letter to explain, but the final decision is up to Home Office. 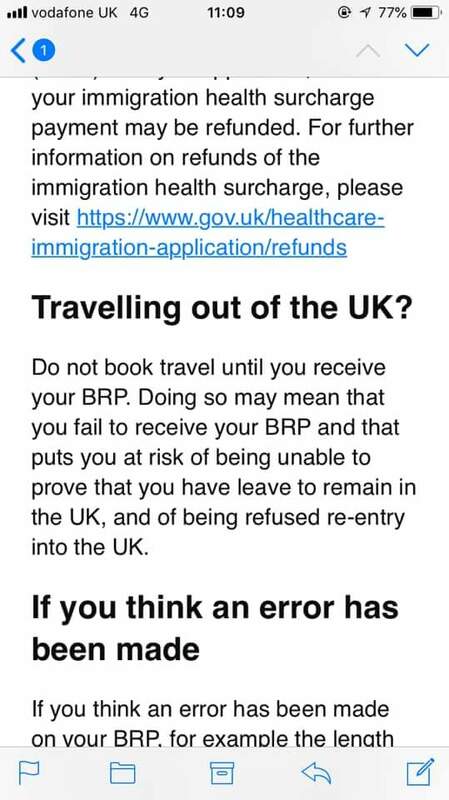 (2) Withdraw the application online (possibly with a cover letter to explain as well) and resubmit in March, but the refund is up to Home Office again. Hard choice! and not great advice or options. Since you first entered the UK, have you had any absences from the UK? I visited 3-4 countries including my home country, and i got confused what dates I need to give, I went on vacataions and there are short in days though. Those questions are too confusing as it is absolutely natuaral for an immigrant to be in vacation outside UK in their 5 year period. Please note that these all correspond with the stamps in my passports (I switched passport during my visa). A small suggestion regarding ‘visit or travel through when absent from the UK and crown dependencies’. The requirement for the Set-o application to show that you have been living here continuously for 5 years. I would say that you need to prove 5 years worth of living in the country but I’ve not swapped visas during my time living in the UK so it might be best checking with UKVI. Here is the UK document that explains https://assets.publishing.service.gov.uk/government/uploads/system/uploads/attachment_data/file/723413/Calculating-continuous-leave-v17.0-EXT.pdf. Hi Kat, this is an amazing resource thank you so much! May I ask if you know of anyone who has successfully applied for ILR on the long residence (10 years) route? I’m wondering what evidence I’ll be expected to provide, and whether it differs by route. For example, I’m not sure if I’ll need the letter from my employer showing my continued employment with them. And as you mentioned, if applying under the 5 year route, the applicant needs a letter from employer confirming the absences – but not under the UK ancestry route. I have known people that have completed the EU residency but not the 10 years one. Looking at the requirements and documents you need to provide it looks very similar to the 5-year visa but 10 years worth of evidence instead. The evidence is dependant on the visa you arrived in the UK. As you may be aware Tier 2 is sponsorship via the employers so there are lots of requirements that the employer (sponsor) requires to support which ensures you’ve adhered to that visa requirements to qualify for ILR. If you have been living here continuously on Ancestry visa and not left the country more than 180 days in the 5-10 years then you would qualify. There is another visa called long residence https://www.gov.uk/long-residence which is the other one you could potentially apply for. I don’t know enough to say which is the right one you should apply for or whether you have to do the long resident as you’ve lived here so long. However, when I complete the questionnaire here https://www.gov.uk/settle-in-the-uk it says IRL – 5 years route so therefore I would go with what the questionnaire recommends. Personally, I would rather get IRL or long resident than renew my Ancestry mainly due to the cost. It’s around £1,800 to renew ancestry with the NHS fees and £2,389 to get ILR (normal service). I am not sure which country you are from but if it’s like Canada or Australia where you don’t need to take the English test then that would help. It would just be a matter of doing life in the UK test and getting all the evidence together. It’s tight but not unachievable. Either way, the difference in providing evidence with the visas is that you would either provide 5 years worth of evidence. As you have lived here longer I would provide all previous visas but re evidence like bank statements and payslips, it should only be for the 5 years but that is my view. You could also get an HRMC letter it is really easy just 0300 200 3300, ask for how many years’ you lived here worth of employment history to be sent to you in a letter. Other than that I would provide evidence inside the 5 years. All they are really ensuring is that you pay taxes, don’t use public funds, have been here continuously and work in the UK. Thanks Paul :). In the meantime, we can virtual high five! Good luck with your application. Hi kat…ive decided to go the long settlement (10+ yrs route)… i’ve filled in most of my application now but wondered if u might b able 2 please clarify some questions i still have? The “existing service” no longer exists so it’s the new service. You will need to upload all your documents and attend a biometric enrollment appointment. Even though this says premium service it’s basically the same process for everyone the timelines just change https://katsgoneglobal.com/uk-visas-premium-service/. I guess either someone has missed it off their release cycle or it’s a low priority feature to be fixed. I have been speaking to a lady currently going through the process she booked on Saturday and got an appointment on 28th Jan but her visa expires on the 21st of Jan. She called both the Sopra and UKVI, they said that as long as you pay and submit within your 28 days then having a biometric enrollment appointment after the visa end is fine. However, they would not confirm this in writing. It seems you can get an appointment within 2 weeks but on my post about appointments if you read Dean’s comment he went through a drama getting one. I guess it’s still pot luck whether you get one. You don’t need to take passport photos anymore, this is completed at the appointment. The uploading of documents didn’t exist when I was completing my application but it will be after you’ve completed the form. Hi Kat, just wanted to say a huge thank you for posting this. The process has changed slightly with the new system, but your explanations and tips were helpful in answering my main questions. It was far less daunting to read your article than the muddled forums… I referred to your post continuously and was granted my ILR this week. Thanks again! Hi there, do you know if I want to go with just the standard service of 8 weeks until a decision is made, does this mean I can apply for IRL earlier than if I went for the quickest option? Fees apparently go up every April, right when I would be at the earliest time I could apply before Visa expires…trying to look for a way around this! Sorry it came across confusing. The Ancestry is a 5-years visa so the 28 days should be within your 5 years and before your visa expiry date. So mine was the 10 Sept 2013 to the 10th Sept 2018 however I didn’t arrive in the country until the 18th of October. You can see in my example spreadsheet how I included these days not being in the country. It just included as calculation of absences out of the UK (that’s what I did) and you are allowed 180 days in a rolling year. I’ve never heard of the 3-month exception, you either apply for an extension on your ancestry or apply for IRL before your current visa expires. Thanks for the really helpful write-up. Apologies if I’m missing something obvious – you refer in your post to a checklist of required evidenciary documents on the .gov website but I can’t see that anywhere at all, nor can I find any guidance documents. Could you possibly give me the links? 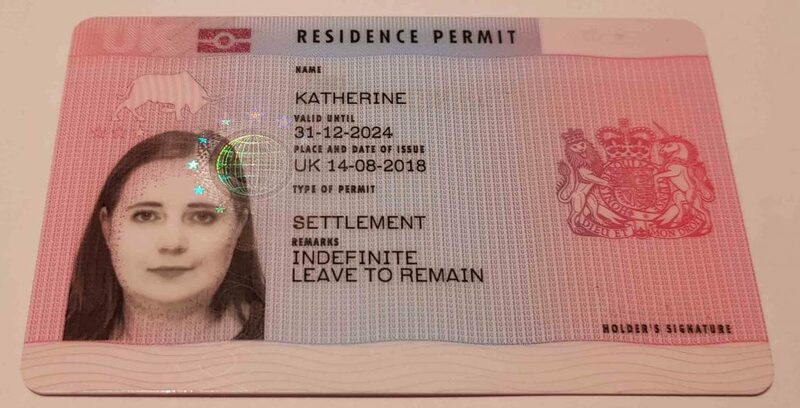 From https://katsgoneglobal.com/indefinite-leave-to-remain/#Evidence_Required_for_Indefinite_Leave_to_Remain_Application down is the checklist that was provided with the application and the evidence I submitted. Once you complete the application and pay there will be a set of documents and one checklist tailored to your application will be available at that point. Thanks so much for replying, Kat. So you’re saying there’s not actually a checklist of required evidence/supporting documents on the gov.uk website which one can consult ahead of submitting the application? You just have to make a judgement call about what you need to provide? Sorry if I’m misunderstanding! There is no pre-checklist available on the gov.uk site, it’s only provided once you’ve completed your application. If you are applying for ILR via Ancestry then I doubt your checklist will be different to mine apart from it inserting your name in the checklist. Everything in bold is word for word what was on the checklist excluding my full name. Fantastic blog – super helpful!! Quick question, did you need to provide documents showing where you have lived in the UK for the Indefinite Leave application? Look forward to hearing back. I didn’t provide any proof of address like bills, just P60, payslips, bank statements etc that had my address on them. Funnily enough, I had saved 5 years worth of bill just in case they wanted this information. What a fantastic blog – super helpful!! Quick question, did you need to submit a history of where you have lived for your indefinite leave visas? Hello! This is so helpfull!! Firstly – where have you seen that the application might only take 8 weeks? the website says up to 6 months. Secondly – how did you add trips where you went to multiple countries? I actually got it from the website but it seems to have changed again. You can read about the different timeframes here: https://www.gov.uk/government/organisations/uk-visas-and-immigration/about-our-services and the changes in the services here https://www.gov.uk/guidance/ukvis-new-front-end-services-what-you-need-to-know. I just added the dates when I entered those countries individually so, for example, I went to Bulgaria, Macedonia, Albania etc and added the dates I entered and left the countries as separate lines. You can see some examples of this in the spreadsheet https://docs.google.com/spreadsheets/d/16fYqBw5_TdSW-tSAKfY2vm-4RQGHcpNYYgrbgw3rYq0/edit?usp=sharing. If you look at China/South Korea or Croatia/ Serbia. Thanks so so much for this- so kind of you to give the template!! 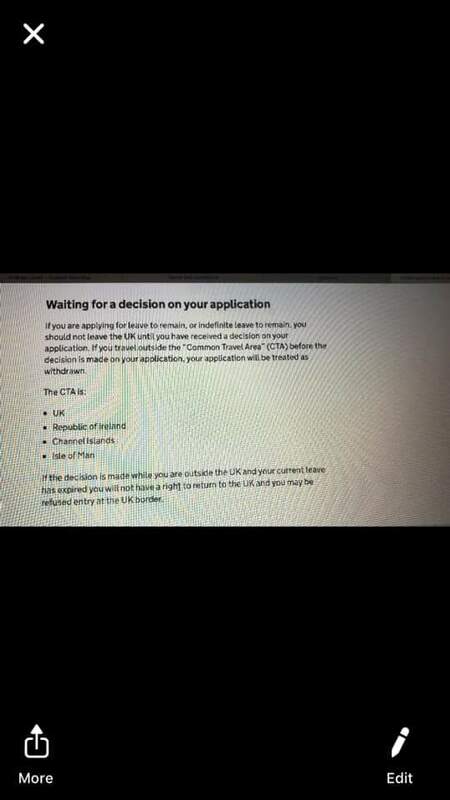 Nope, no need to go to Aus you can apply for IRL in the UK :). Hi! This is so handy – thank you! For the reasons of absence, i’m not able to enter more than one country. How did you go about entering multi-country trips? You add one then press next and it should keep asking you the same question until you have completed 30 lines worth. Hi Kat, what about when you went to multiple countries in the same trip? Which one do you enter as it only allows for the one? Or do you enter both as separate entires with the same UK exit and entry dates? Thanks! I ran out of lines after 30 so I included a spreadsheet like this https://docs.google.com/spreadsheets/d/16fYqBw5_TdSW-tSAKfY2vm-4RQGHcpNYYgrbgw3rYq0/edit?usp=sharing to cover the remaining lines. The dates are based on when I entered and exited those countries, not based on my entry and exit dates in the UK. Thanks so much for your post – it has helped a lot with the application process!! I just got to the point where I have more than 30 trips to add to the application and have been trying to find out what to do (and stressing a bit) – so glad I saw your last answer about running out of entries at 30 (this does seem a bit dumb to me as 6 trips/year is not a crazy amount…). So it was fine for you to put in the excel spreadsheet in the application and just note which entries you were able to put in the online form and which were not (>30)? I just put the latest trips until I ran out of line and provided the spreadsheet repeating the information. I didn’t say anything on my application that I did this, just added the spreadsheet in my evidence but you could add that in the question that asks what evidence are you going to provide. In the application form, it asks “When did you first enter the UK? (This is the date you entered the UK when the period of stay you are basing this application on started. 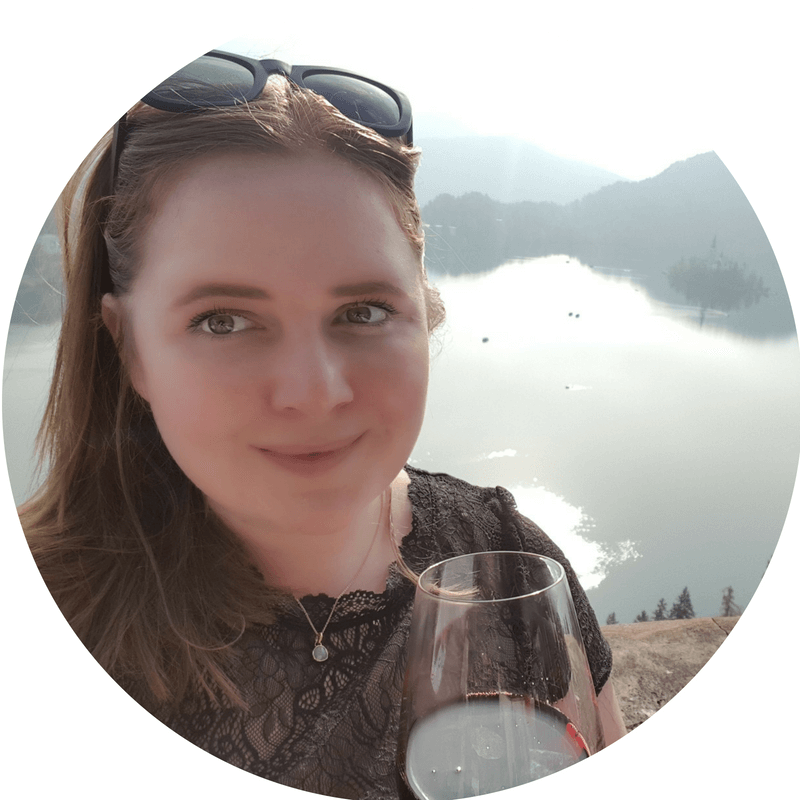 )” – so I’m now a bit unsure whether I should just put my Tier 2 Leave to Remain start date, or I should put my actual original entry date to the UK? Or maybe even the latest entry date around the start of my Tier 2?? I’m leaning to first option, what is your thought? As I understand the date is when you first entered on your Tier 1, I can’t remember if there is a section to enter all the previous visa but if there is you would record your Tier 1 there. Both priority service and super priority service cost the same amount. If you read https://www.gov.uk/guidance/ukvis-new-front-end-services-what-you-need-to-know it states that UKVI’s PSCs closed on 29 November 2018. If you are applying online for leave based on family life, including spouses and partners of settled persons, or private life, you will have the choice to use one of the following services from 29 November 2018 until further notice… which goes into what the new service provides. Therefore it should be with UKVCAS which will require you to upload your documents beforehand otherwise you will be charged a fee. With the new service, you get a decision within 24 hours and not on the day. You can always call UKVI to confirm if their timelines have been delayed. Thanks for your detailed process. Does Home office actually sends an email or a letter of approval/refusal nowadays before sending outing documents back? It has been 4 months and 8 days I have not received nothing from the home office apart from an automated email stating my application is still under process. very frustrating. Happy to catch up on a coffee or wine and understand in details if you could educate me more regarding the process. Such great information – thank you for this. Do you happen to know of any income requirements for Ancestry Visa holders applying for ILR? I can see you have mentioned there are no listed financial requirements – just wondering if you have somehow heard of any instances where salaries were not sufficient? There is nothing in the requirements stating that you need to earn a certain income or savings goal. If you are not working during your time of ILR then you will need to provide additional evidence. I have been in the country for five years on a valid Tier 2(General) Visa sponsorship with no breaks between each Visa.First one valid from 10/06/2014,can I eligible for applying ILR by 10062019? I’ve noticed in your post you mentioned 3 options for processing. Can I just confirm that that’s now outdated as I can only see 2 (regular and super premium 1-Day) service when i tried to fill the new beta form online? Also, with the regular processing option now is this the equivalent of what was the postal service (i.e. i have to submit all copies including the actual passport)? If that’s the case am I right to assume that it means i will not be able to travel for up to 6 months? It’s not very clear on the online application form as it says both proccessing options requires biometrics….do you still submit documents in person at the biometrics under both options or just for the super premium service only. Also I have an active Tier 2 VISA which doesn’t expire for another year (but i’ll be reaching my full 5 years in April 2019). I plan to apply now….though if let’s say I choose the super premium service I trust i’ll get the original documents back to me on the same day….does it mean I can theoretically still travel whilst they are processing the VISA (i.e. can I still exit and re-enter the UK whilst they take say 10 days to issue me a new resident card). There was a post from gov.uk that stated this information which is what I used. The information has since been removed which is why I state in the post to double check as the rules and process do change. The 24-hour service means 3 business days so don’t expect the decision on the day and lots of people are complaining about weeks delays. The standard service is a decision within 6 months but you don’t need to send your documents to the UKVI. It’s all uploaded to the UKVCAS service now and during you biometrics you just show the documents. You will only need to send the evidence if UKVI requests it. You are not allowed to travel during your application if you do it makes your application invalid so I would suggest that even though you have your passport not to travel. Can you please help explain if there are two separate forms that need to be completed — 1 for consent and 1 for declaration? Above you state: Declaration signed by Miss Katherine to confirm consent for the Home Office to request verification checks. Again like the requirement above it just requires a form to be signed. I can only find the consent form and nothing for declaration. These were forms provided in my application, a lot of this is electronic in the application now so I wouldn’t much and just double check in the list what they ask you to provide. Thanks Kat that’s most helpful. When you say “you are not allowed to travel during your application”…..is there a link or official wording you can help guide me to. I travel quite regularly so i just want to ensure I don’t invalidate it. Also, once I submit my application – how soon can i realistically get an appointment (without having to pay all the extra fees they now offer). If i heard correctly, is it correct that there should be options or slots within 5 days of submitting and paying for the application? Once you press submit on the application I would advise not to travel. At the end of the day, what’s a couple of weeks not travelling so that you can get a decision to stay in the country. I applied for mine in August last year and was back to travelling in early October. There is a backlog in the applications as I have heard from other readers that their decisions are taking more like 3 weeks and being refunded the 24-hour decision service. It depends on the location and availability, Croydon has always been a busy centre for example. They suggest that you get a biometrics appointment within 5 days, the appointments will be available 28 days in advance of looking. I am slightly panicking as I have completed online form and paid £2408 for the standard service for my husband on the 5 year ILR today and his current leave to remain expires in 2 days!! So now I am worried that I have left it way too late or will this be okay as still applied for other one expired; bearing in mind I have to still ake appointment to go sumbit the documents at a centre?? Also they are charging me for the service, do you know if this is right? Sorry so many questions, but your guide was super helpful so thought you might have some idea. I am not sure I understand him already having leave to remain and then applying again? I have known people to leave it late in the game to apply (you need it submitted before the visa ends) and have their biometrics appointment after their visa has expired. Their application was successful and got approved. Yes, the centres can charge more depending on which centre, the time etc, it’s all covered https://katsgoneglobal.com/uk-visas-premium-service/. Found your blog and it’s really really helpful. I have a query regarding your spreadsheet. You’d stated that your visa started on 10 Sept 2013 and you had entered UK on 18 Oct 2013. However you indicated an absence of 34 days for this period. How was this calculated? Also, did you have to provide proof of your absence other than your passport such as air ticket bookings and/or boarding passes? I only have stamps on my passport for dates when I re-enter the UK from my trips. So how can I prove that I’d actually left the UK at the said dates? Hope to receive a reply soon. Sorry I was playing around with the spreadsheet it should be 18th Oct minus 10th Sept to come up with the days. I provided both my passports (old and new) as absence proof. Depending on your passport I would assume that you got stamped going into that country? It doesn’t need to be a UK stamp. My passport does show the entry and exit stamps for certain countries but when I enter and exit my own country there are no stamps since everything is biometric. So not sure if this will have any implications to my application. Also, I would like more advice regarding the absence proof. I know we have to indicate all the countries we’d visited when we are out of the UK, however if I were to return to my home country for a whole month and then, in between, I visited another country, how would you suggest that I write this down in the application form? Eg. 1-28 Feb (Singapore), 14-20 Feb (Thailand). Should I indicate 1-13 Feb (Singapore), 14-20 Feb (Thailand), 20-28 Feb (Singapore)? Hope to receive word from you soon. Many thanks. https://assets.publishing.service.gov.uk/government/uploads/system/uploads/attachment_data/file/791067/Calculating-continuous-leave-v18.0.pdf but it wasn’t clear as such if it was just a whole trip or you needed to document every country you visited. Thanks for taking the time to reply. I’m doing whatever I think is right now because in the application form it does specify the need to mention “each country you spent time in during this period of absence”, so I just wrote everything in the box provided. Hope that’s correct. I thought I’d written a post but I can’t see it now, so sorry if I have put this up twice! Thank you so much for all your tips and guidance, this is the most helpful information on this subject matter on the web! What a legend! I wondered if you would know what they are asking with regards to the question of citizenship. The SET(O) form asks “Do you currently hold, or have you ever held, any other nationality or citizenship? (Required) You must provide all the nationalities that you currently hold or have ever held.” Would this also mean your birth nationality, i.e. New Zealand. Just seems a redundant question!? You asked the question on a different post :). I think the basis of the question in prep for citizenship as not all countries allow dual citizenship (just my assumption). I just put Australia for mine :). days before they have completed at least 60 months in the UK with such leave. met, provided the requirements of the Immigration Rules are also otherwise met. Thank you for the great information and it will be helpful to anyone applying for a spouse visa. As stated in the title and throughout my article, it is about ILR via UK Ancestry which is the Set o application. Hopefully that makes it clear to other readers. 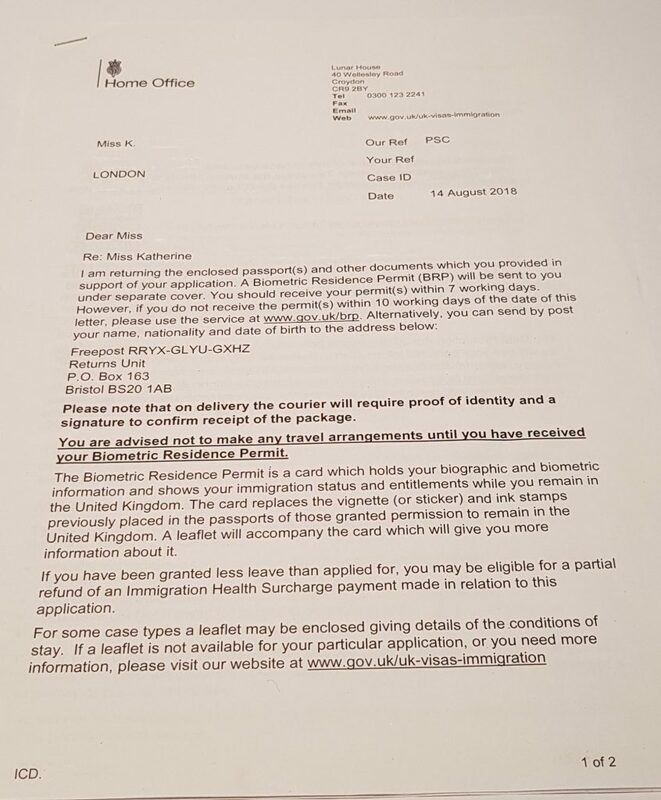 All the information in this post is specific to my visa route to ILR which was UK Ancestry. Other applications will request similar information but it will be tailored to the individual and the application. Thank you once again :). My visa (Tier2) General valid from 10/06/2014,technically if I calculate myself will be eligible for applying ILR by 10062019. By how much soon can I eligible to ( 28 days) submit my application and take priority appointment ? Below is my understanding – can you correct ? Online application submission by : 13th of May and take appointment by 14th May 2019 ? Hi Kat, it’s me again Nelly. I have another query please. If my husband(sponsor) met the income requirements of 18,600 under (Set M), do I still need to add my income or not? Thanks a lot. I would say that you would still need to enter your financial details and provide evidence of this. Or as the checklist stated evidence of why you’re not working if this is the case. I don’t have a ton of knowledge in Set M applications but every application I have ever done has required me to provide my financials.